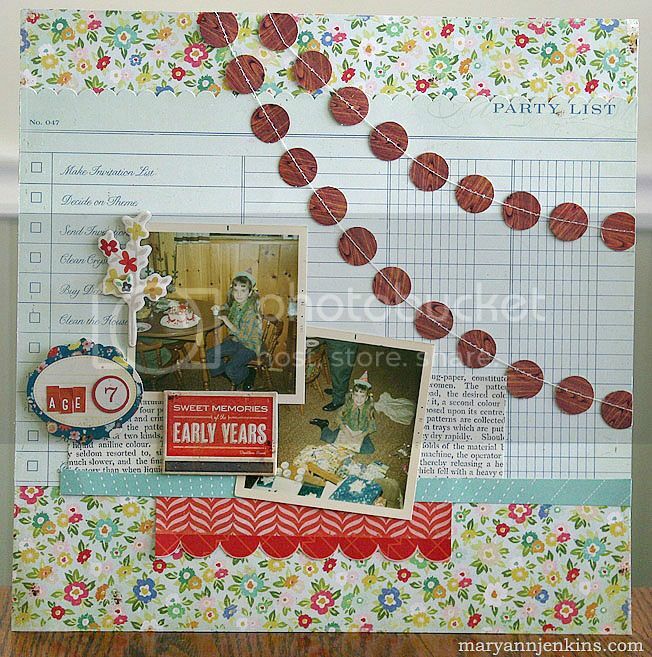 Love this layout Mary Ann! These paper look so good together! That CP line is one of my favorites :) And really love the banner. That little banner is so cute on here and fabulous showcase on those cute older photos! Wow, this is so pretty. Love all the colors and these papers look perfect together. Such a darling layout. I love how you mixed and matched the papers and embellies. I have such a hard time doing that, but you make it look so easy. I am big supporter of getting those older photos scrapped. This is is perfect for your photos. Great job! What a great layout! I love the garland. I need to try that. Thanks!